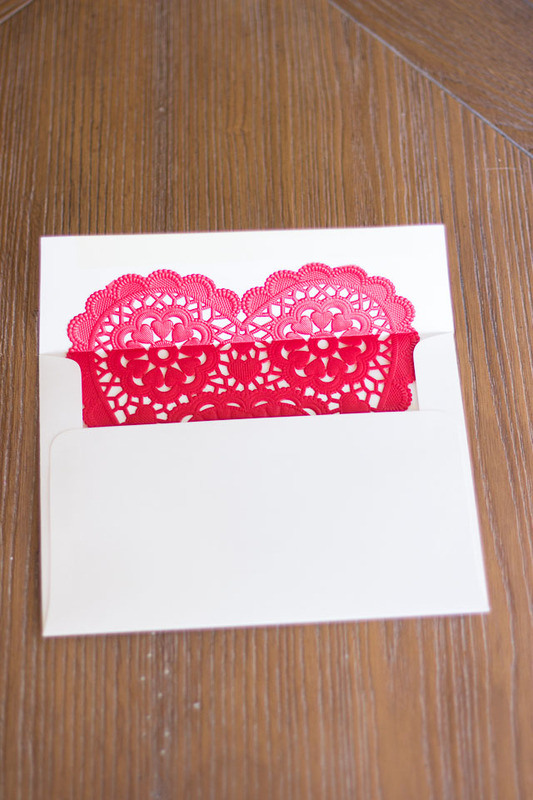 Line your store bought Valentine card envelopes with a doily to make them extra special! I used envelopes that had an adhesive strip on the top for a liner, but if you don’t have those you can just use a little glue. Just make sure it dries completely before adding your card and closing up the envelope. 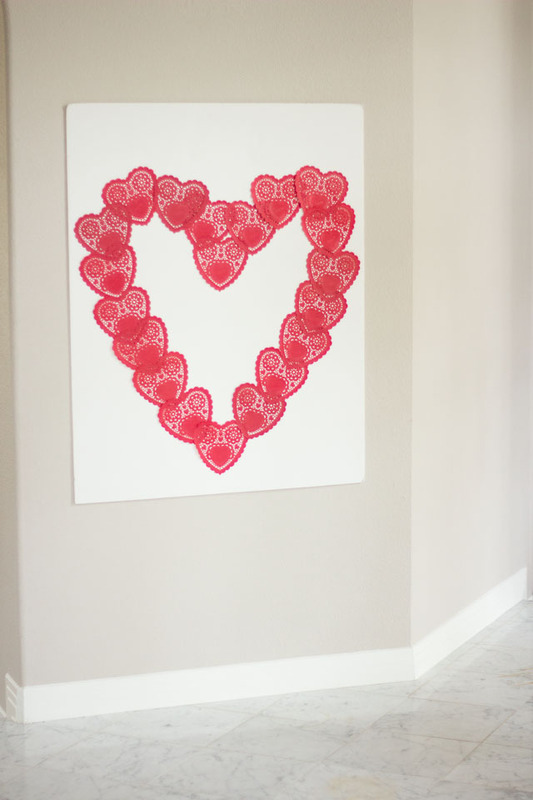 Make a heart out of heart shaped doilies! I taped mine to a large piece of foam core using double sided tape. I first laid them out until I got the heart shape I wanted and then added the tape. If you don’t have foam core, you could use poster board or a sheet of kraft paper. You could even tape them right onto the wall as long as you use tape that doesn’t harm your wall! This would be a fun surprise for your kids to wake up to on Valentine’s morning – put it on the wall next to the breakfast table. I made this for our entry. It also served as a photo backdrop during our Valentine’s Day party. 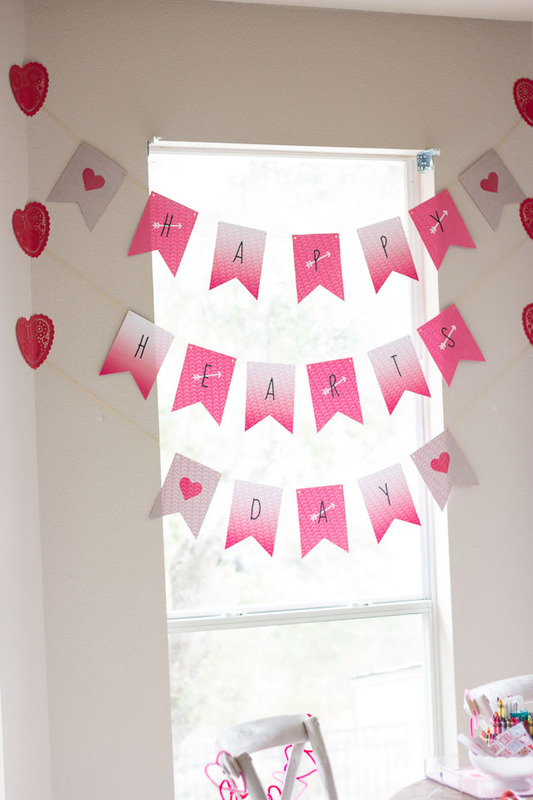 I used doilies to cover up the not-so-pretty loose ends of the banner I hung for our Valentine’s Party. And easy way to cover up the tape! You could also make a garland out of heart doilies by gluing them to a piece of card stock slightly larger than the doily. 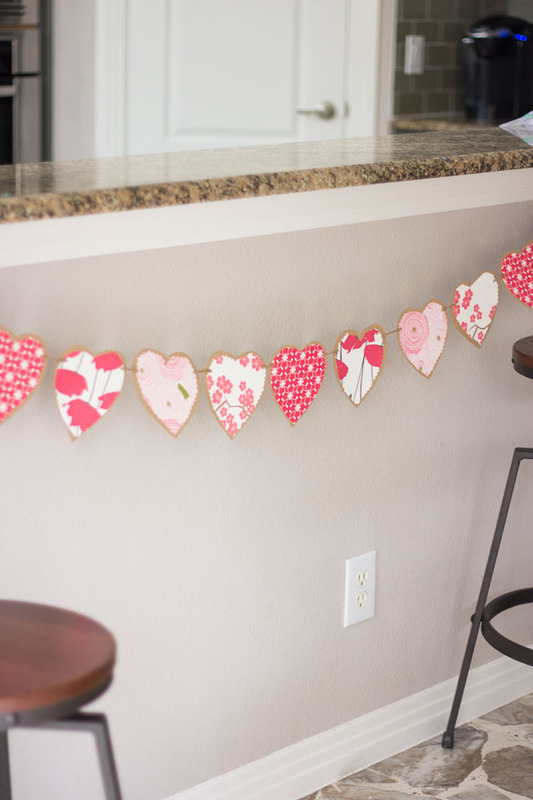 Similar to my garland here, but using a doily instead of the patterned paper! Happy last minute crafting everyone!